“Too many organizations currently either fail to see the need to even have a PMO, or to appoint a PMO director in a leadership role over it. 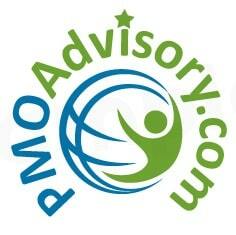 And it is not imperative, especially in smaller organizations, that both the CPO and PMO director exist. It can be handled by the same individual. But the visibility and significance of having the CPO position defined in an organization lends instant credibility to the PMO, and that will be a good thing for all companies that truly value the efforts and functionality of the project management office within the organization.”- Brad Egeland for Quality Digest and his article, “Chief Project Officer: Should This Be a Real Thing?” Brad Egeland is an IT/PM consultant and author with more than 25 years of software development, management, and project management experience. Yes the Chief Project Officer should be a real thing however today, the title of “Chief Project Officer” is relatively little known. But there are a number of equivalent senior project executive roles such as “Head of Project Services”, “Executive Director of PMO”, “VP of Strategy Execution”, “Director of Business Excellence”, etc. In other cases, the other C-Level such as the COO, CFO, and CMO have part of the CPO responsibilities. This executive course is designed for all decision makers and leaders that are in the C-suite (or aspire to work with the C-Suites) sponsoring and overseeing major projects, programs, and portfolios. The C-Suite needs someone to take organizational strategies and implement them, give feedback to the planning process on complexity, feasibility, and relevance of programs and projects; navigate portfolio, program, and project management direction and assure successful delivery of projects and programs in the organization. Commonly the Chief Project Officer and other senior project executive roles can select, prioritize, and terminate projects and programs to achieve alignment with the organization’s strategy along with having the ability, power and authority to identify chart organizational change. In most organizations despite being accountable for governance, the head of the PMO has little or no authority in enforcing organizational governance on the projects and programs run by the PMO. This is resolved by having a Chief Project Officer at the executive C-level where the authority and control would be afforded to implement organizational governance (assurance that risks at the organizational level are managed appropriately and resources are expended and utilized responsibly). The Chief Project Officer aligns the organization’s project portfolio with its strategic plan, assesses risk, spots conflicts or inefficiencies between existing or proposed projects. On Wednesday, February 20, 2019 we invite you to join us in a free 1 hour webinar where we will be taking a deep dive in the Emerging Role of the Chief Project Officer. Click here to learn more about and to sign up for this event!